BETHPAGE, N.Y., June 10, 2009 -- Almost 22 months after its first flight over the skies of St. Augustine, Fla., Northrop Grumman's (NYSE:NOC) first E-2D Advanced Hawkeye test aircraft flew north to Naval Air Station Patuxent River, in Maryland, to begin the next phase of testing in preparation for Initial Operational Test and Evaluation in 2011. "Since our first flight on Aug. 3, 2007, the joint Advanced Hawkeye team has been putting the aircraft through its paces, and recently passed the 1,000th hour of flight testing," said Jim Culmo, vice president of Airborne Early Warning and Battle Management Command and Control programs for Northrop Grumman Aerospace Systems sector. "We're looking forward to getting the E-2D out on the aircraft carrier. This next phase -- carrier suitability testing -- brings us that much closer to delivering this revolutionary weapons system to the warfighter." 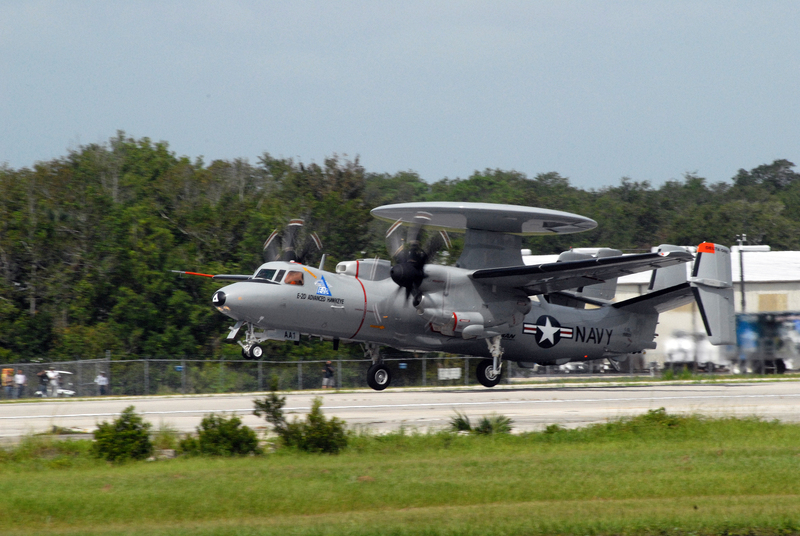 To ensure that the aircraft operating on carriers are compatible, all naval aviation assets undergo carrier suitability testing prior to joining the fleet. During this test phase all aspects of aviation/ship integration are addressed, including logistics, manpower and interoperability. "Carrier suitability testing for the E-2D Advanced Hawkeye will concentrate on verifying that the aircraft is structurally prepared for the rigors of carrier operations," said Marty McCord, Northrop Grumman Contractor Flight Test Director. "The bulk of the testing involves catapult and arrested landing structural tests, also called 'Shake, Rattle, and Roll Tests', as well as determining the minimum acceptable approach airspeed and establishing crosswind limits," he added.